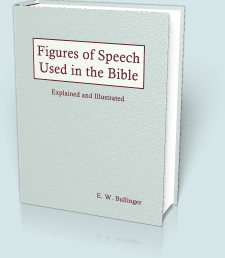 What is meant by a "figure of speech?" "A FIGURE is simply a word or a sentence thrown into a peculiar form, different from its original or simplest meaning or use. These forms are constantly used by every speaker and writer. It is impossible to hold the simplest conversation, or to write a few sentences without, it may be unconsciously, making use of figures. We may say, 'the ground needs rain': that is a plain, cold, matter-of-fact statement; but if we say 'the ground is thirsty,' we immediately use a figure. It is not true to fact, and therefore it must be a figure. But how true to feeling it is! how full of warmth and life! Hence, we say, 'the crops suffer'; we speak of 'a hard heart,' 'a rough man,' 'an iron will.' In all these cases we take a word which has a certain, definite meaning, and apply the name, or the quality, or the act, to some other thing with which it is associated, by time or place, cause or effect, relation or resemblance." This is a study, and a dictionary, of such expression in Scripture. You will find in the entry selector that the content of the book is divided into sections such as 1.1, 1.2, 2.1, etc. (These sections can be accessed with the links the table of contents outline). Additionally, a thorough index to the Figures presented throughout the book is included in the entry selector which can be used to quickly find a particular Figure. 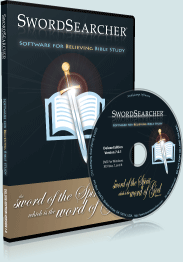 In addition to this index (over 300 items), the entire work is accessible by verse reference and can be instantly searched by word or phrase.